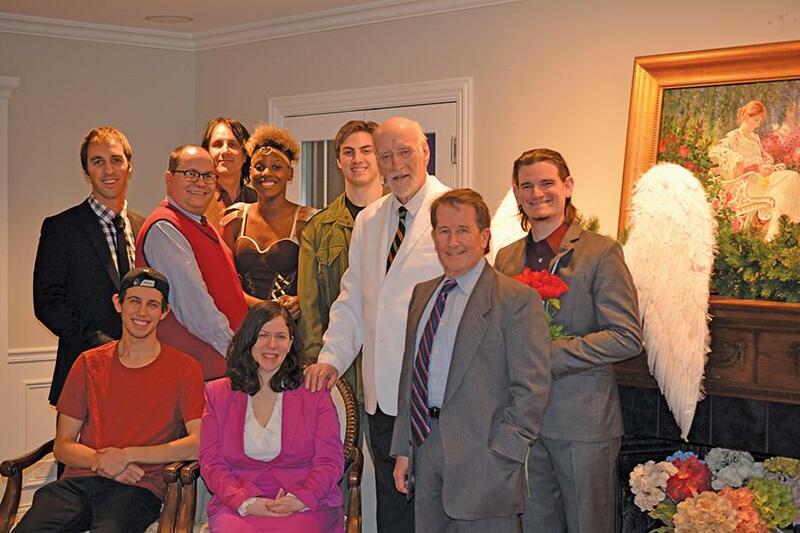 Cast members of Evanston’s 2nd Act Players prepare for their production of “Remembrance.” The play, which explores how people remember dead loved ones, will be performed with changes since the last performance at the Winnetka Community House. Major celebrities and historical figures may be remembered forever, but ArLynn Leiber Presser’s play “Remembrance” explores what happens to everyday people once there is no one left on Earth who remembers them. Evanston’s 2nd Act Players will present a revised version of “Remembrance” this weekend at the Noyes Cultural Arts Center, 927 Noyes St.
“Remembrance” was originally shown at the Winnetka Community House last April. Presser has since changed the ending, and the 2nd Act Players will debut these changes, co-producer and 2nd Act co-founder John Frank said. He added it will also feature some new actors, a greater emphasis on the female lead and different staging to accommodate the new venue. The show takes place in Remembrance, a place where deceased people go until there is no one left on Earth who remembers them, Frank said. “It’s a very poignant look at what life after death might look like,” Frank said. The play follows a man named Seneca Paris, a retired military general who dies of a heart attack at the beginning of the show and goes to Remembrance. There, he encounters a woman named Georgia, the love of his life, who he had left to return to the army and now has a second chance to be with. Frank was an actor in last year’s production and liked it so much that he wanted to bring it to a new audience in Evanston, he said. He said this will be the first play performed by the 2nd Act Players that he didn’t write. Co-producer Marion Scully, who produced the Winnetka production, said although there are some changes to the performance, the show will be similar to the original in many ways. “This play will reach all emotions in the audience: happy, sad and everything in between,” she said. After receiving positive feedback about the first production in which he performed, co-director Chris Johnson said he hopes the audience will be affected similarly and taken on an emotional journey. Before the show, audience members will have the chance to write on Post-It Notes the names of their loved ones who have died. The notes will then be placed on a board outside of the theater, Scully said. Johnson said he hopes the audience will come into the theater and think about people who have passed on and how those people are in their minds as they’re watching the play unfold.